Transporting heavy loads will be a breeze with this smart and durable, industrial strength galvanised platform truck. 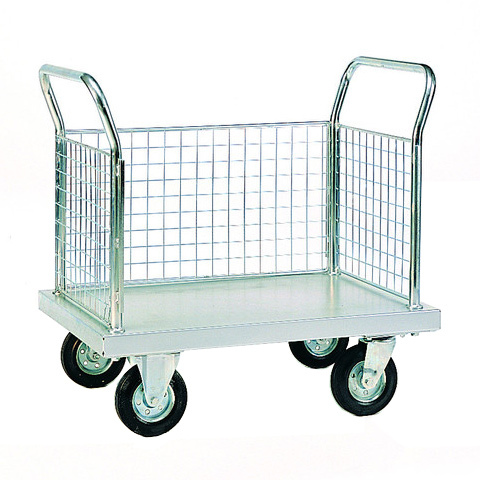 A capacity of up to 700kg ensures that the trolley can be loaded up with enough product to reduce the number of trips required to move goods between locations. Choose from 1, 2, 3 or 4 mesh side panels to suit your own requirements. The model with four mesh panels can be used as a basket style trolley that can be fully loaded (perfect for goods that do not stack well) or choose a truck with less sides for easier loading and unloading of products. 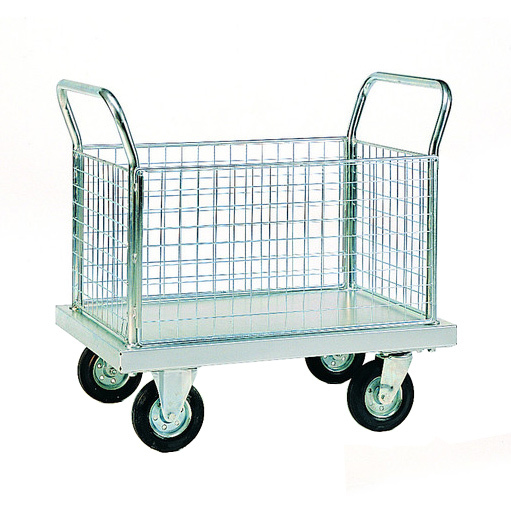 There are three platform sizes available that offer generous loading deck of up to 1200 x 800mm. When trucks need to carry heavy loads the limiting factor is often the quality and strength of the wheels they run on. 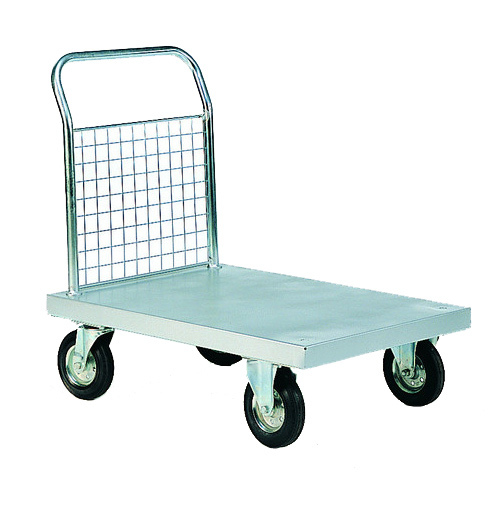 This Heavy duty platform truck features some of the best castor wheels available, each one having hard-wearing solid tyres and running on roller bearings which provide a smooth ride for a total carrying of up to 700Kg. 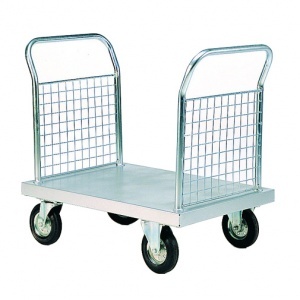 Note: End panel(s) with ergonomic handles are fixed into position, side mesh sections are removable.